BLUE PASSION is offering $1,000 OFF any charter to take place in the month of December 2015, including Christmas week. The $1,000 discount may be pro-rated for less than 7-night charters for all of December with the exception of Christmas week which is a 7-night minimum. Celebrate Christmas aboard Blue Passion. Christmas charter available through December 26th. Blue Passion is a 58-foot Beneteau (Oceanis 58) sloop with an owner-operator crew of two, Greg and Vanessa Langridge. Blue Passion is fully air conditioned and accommodates up to 8 guests in 4 cabins, each with private, ensuite heads/showers. The aft, starboard guest cabin can be configured as a double or split into twins. The yacht has easy access to the water via their transom steps. Blue Passion has a 15-foot center-console dinghy with 50HP motor, waterskis for kids & adults, tube, 2-person kayak, snorkel gear, fishing equipment, iPod dock, you are welcome to watch DVDs on the boat's laptop, plus Blue Passion has a 112" projector TV, for use in salon, guest cabin, or cockpit; SkyScout Personal Planetarium which connects to the GPS, hammock, beach games, etc. Onboard wifi for internet in VIs & French islands. 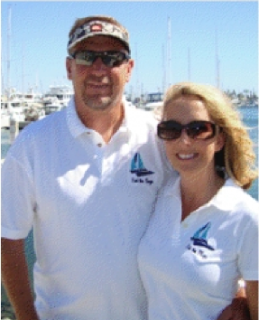 Greg is a dive master and Blue Passion includes 6 dives/week for certified divers. Bring your own gear, or rent for approximately $250 per week per diver and includes 1 tank. Additional tank fills are about $9 each. 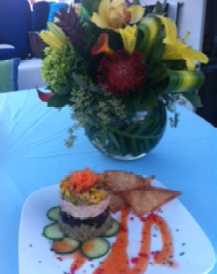 Charter Yacht Drumbeat now open for New Years! Let's start planning your sailing vacation! 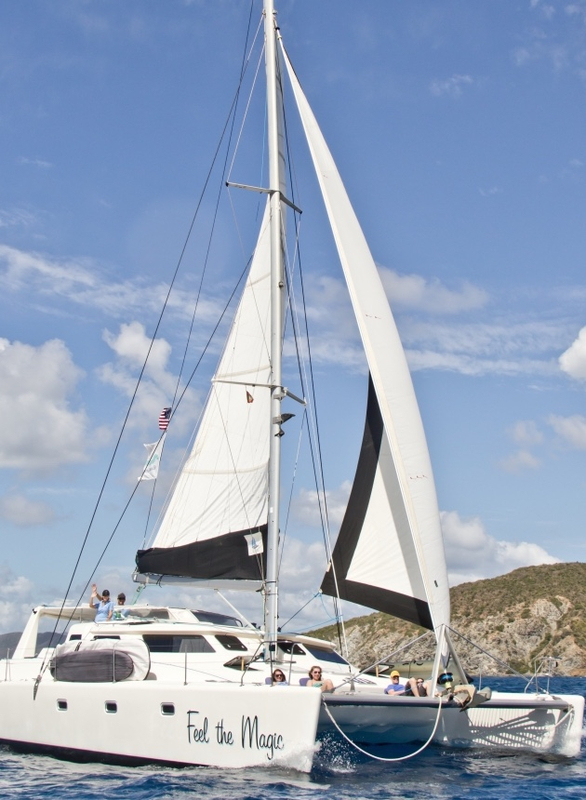 We would like to welcome the catamaran Devine Sailing to the Caribbean charter fleet. 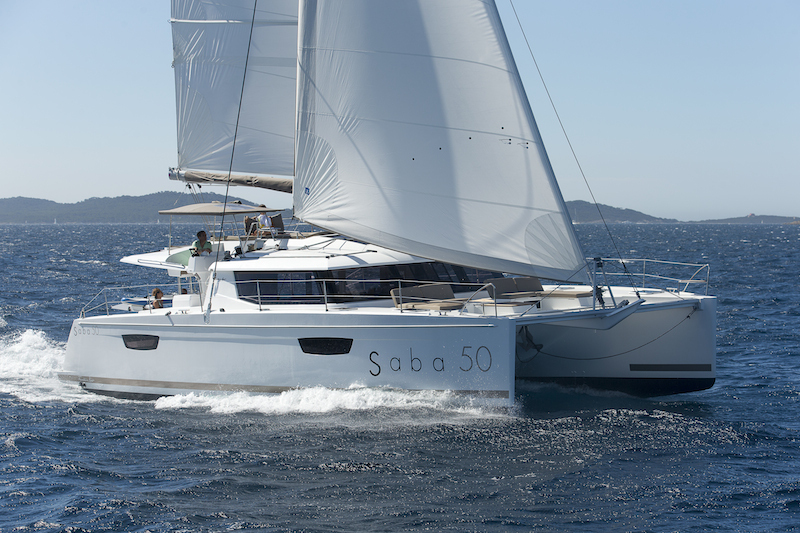 Devine Sailing is a 2015, 50-foot Fountaine Pajot offering modern luxury for up to 10 guests. The stunning design elements include a spacious, light filled salon, bright cabins with ensuite heads with showers, expansive lounge decks forward and on the flybridge, and a huge cockpit dining and seating area with bar fridge. 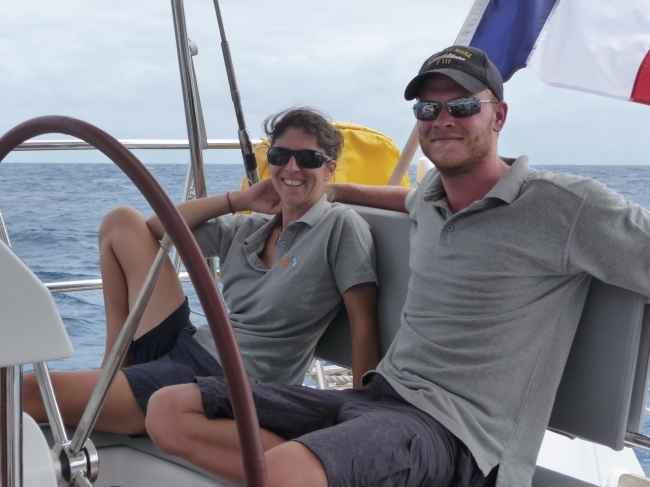 Devine Sailing takes the charter experience to a whole new level, with 3 crew on board to attend to guests' every desire including a professional chef. 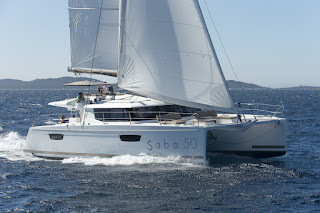 This is the perfect catamaran for large families or groups to enjoy a true luxury sailing vacation or for honeymoon/anniversary couples seeking the ultimate, exquisite getaway. 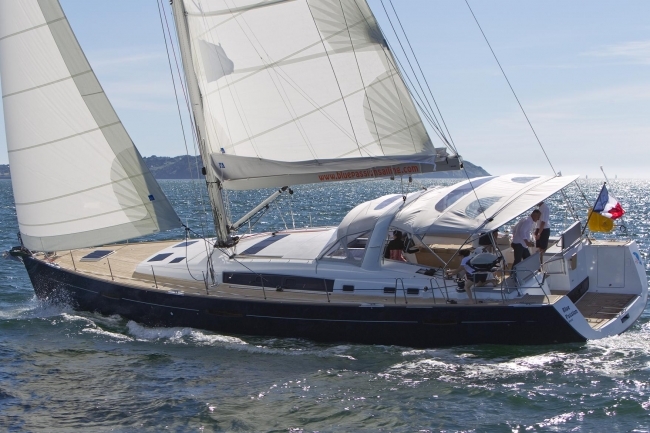 Some yachts already have confirmed charters for for the 2016 holidays... Over a year in advance! Click on the yacht's name to view their electronic brochure. We recently received some news from Michelle aboard the charter catamaran Feel The Magic. 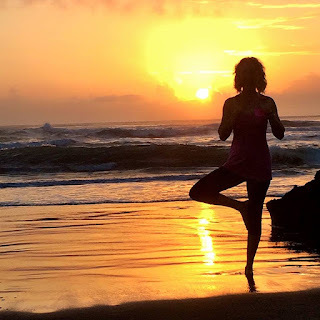 Besides being an award-winning chef (she will be a judge for the culinary events at this year's yacht show) and a certified sommelier, Michelle received her instructor certificate for yoga this summer while in Costa Rica. 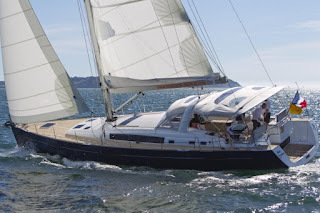 Charter yacht Feel The Magic is a 50-foot Voyage catamaran with an owner-operator crew of two, Hank and Micheale. Feel the Magic is air conditioned and accommodates up to six guests in three equivalent cabins with queen-sized berths and ensuite heads/showers. 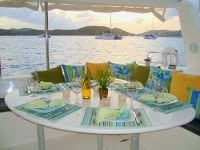 For charters of 7/8 guests, the queen berth aft of the trampoline & day head are available for use. Or, for an additional $1000 a charter group of 8 may use all 4 inside, en-suite cabins and the crew will use the center Queen cabin. Feel the Magic has a 15-foot dinghy with 70HP motor, waterskis, kneeboard, wakeboard, tube, a 2-person Hobie Mirage kayak that you can paddle or pedal, 2 standup paddle boards (SUPs), 2 surfboards, SeaDoo water scooter, snorkel equipment, fishing gear, floating mats, TV/DVD, onboard wifi where available, guitar, banjo, and other musical instruments, and more (see online brochure).